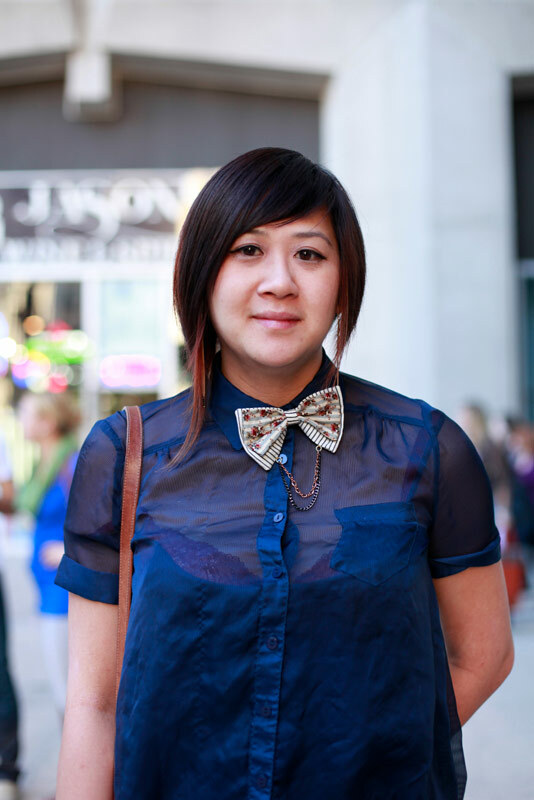 "Well these (bow tie) are my new accessories and I wanted to showcase it in some way, because there are always women asking if I make women's bow ties, so that's what I decided to do.I still stick to the feminine side, wear a sheer top to kind of showcase it a little bit." 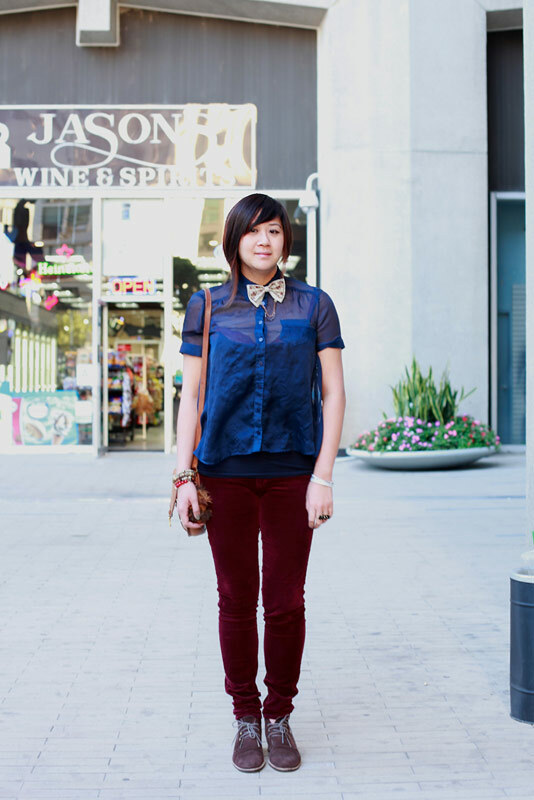 The bowtie with the sheer blouse is so daringly cute. You can get your own bowtie on her site.